Do you remember the immigration form we receive in the plane to fill when we are about to reach our destination? Well, this can be a thing of the past. The General Director of Immigration and Foreign Affairs of Costa Rica informed that a pilot program is conducted in a digital system, which will take the place of these forms to leave or enter the country. For travelers, this means faster check-in and less hassle while being on the flight and the country’s entrance. Since day before yesterday, passengers are not required to fill out the personal information form at the check in, when they are lined up at Juan Santamaría International Airport or Daniel Oduber International Airport. So, on the other hand, once travelers have their boarding pass, they will go to security. The immigration officers, located at the entrance, who will scan the passport and may ask clarifying questions. 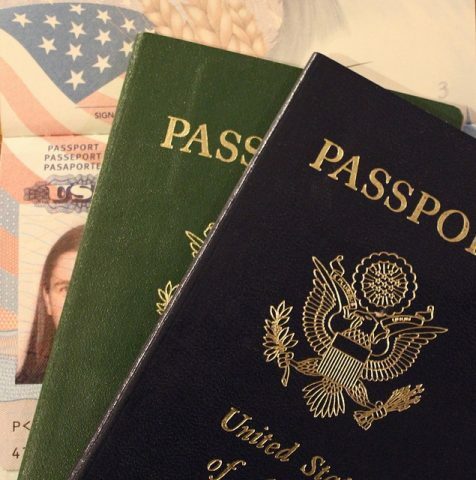 The scan of the passport before leaving Costa Rica was previously done by airline personnel, who needed to spend more time reviewing the passport data, along with handwritten passports. Even so, these staff did not have access to information on travelers‘ immigration restrictions, as they were not connected to immigration databases. There are many advantages for travelers with the new system. This will be tested until early November, hoping to detect any problem or failure of the digital system. This can become a permanent accessory in borders and airports, as explained by the immigration agency. Another advantage that can be seen in the process is that passengers traveling with minors, born in Costa Rica, may skip the immigration desk at the airport for approval of trips with children. So, now, parents must have their children’s exit permits before traveling. With the new system, those traveling with minors would go directly to the airline’s check-in counter, thus obtaining boarding passes as soon as their children’s exit permits are approved. Zeidy Muñoz, the immigration press officer in Costa Rica, gave the explanation that the agency has spent much effort and time to modernize its computer systems. Everything aims to have a more efficient system, comfort for passengers, and eliminate the time and paperwork of immigration officials. Also, a traveler who has a restriction on their travel rights may discuss this directly with the immigration officers before entering security. They will be able to inform him of his status and will be escorted to a special room where he can discuss the situation in private. This means that there will be no unpleasant surprises for travelers once they have boarded the plane, avoiding potential public embarrassment. As well as airlines, they can avoid unnecessary delays due to search among paper forms to corroborate information about passengers with restrictions. The only changes travelers can experience is that immigration officials will now be able to ask clarifying questions about the purpose of travel, destination, and other pertinent information that will be added to the digital record.